“…Some time ago, back when there was rabid fuel scarcity, I did something that I am not too proud of. Driving with a low tank of fuel, I was forced to head to a fuel station. Arriving at the fuel station, I met an incredibly long queue, of which I joined. With the queue not moving and having been there for a while, I concluded that queuing at the station indefinitely was not an option I was willing to embrace. So, I decided to leave the queue and drive up to the station. As I approached the station, lots of young men offering black-market fuel approached me. I thought about obliging the black-market trade fleetingly, but eventually decided against it. I settled on cutting my losses, going home and sending a driver to join the queue instead. But then, a well-dressed middle-aged man approached my vehicle and asked if I wanted fuel from the station. “Yes,” I replied without hesitation…“But the queue is too long. I will just go home and send a driver to join,” I said. “I work at the station and I can let your car in to fill your tank now, now Ma… for a small amount,” Offered the man. I understood perfectly what he was offering and, I must admit, it didn’t take me long to decide whether I was going to accept his offer or not. Yes, I was going to get the tank filled now! I had justified the trade in my mind; you see… It had been a long, tiring day and I had fasted. And paying extra to jump the fuel queue may have been a form of injudiciousness, but it was one I felt I deserved at the time. So, it was! I followed the man with my car and he led me into the fuel station through a separate entrance. After some motor acrobatics, I aligned my car with the fuel pump and within a few minutes, I had a full tank of fuel in my car. The whole operation took less than ten minutes. Satisfied and smug, I drove out of the station. Feeling a little guilty and sorry for those I had bypassed on the fuel queue, I turned to look at them. That was when I made contact with a woman in the queue sat in the driver seat. She had three young children in the back seat. The kids looked like they were all under ten years old. The one that looked like the youngest was crying non-stop and the two elder kids seemed to be fighting. Between trying to console the younger child and trying to mediate the fight with the older children, she turned and looked at me. She had the most desperate, forlorn and tired look on her face. She was sweating and looked overwhelmed. That was when a large surge of disappointment followed by utter guilt hit me. …By God’s Grace, as I sit here and watch my fellow countrymen and women ask where exactly the change is, I am reminded of my misadventure that day in the fuel queue. The question shouldn’t be ‘where’ the change is; it should be ‘what’ the change is. So what is the change? Perhaps it is for every single one of us in this nation to commit ourselves to make a change for the better. As Mahatma Gandhi once advised, every single one of us has a responsibility to be the change we wish to see in our respective communities. So, when we speak of Nigeria’s urgency to see ‘change,’ whom do we expect that change to come from? The expectation for change has been fixated on the government. A long to-do list has been placed at the foot of the President. But in reality, the wind of change that ushered in a new government in the last election wasn’t so much about voting one man into office. It was about the need of a people to see a change in the very fabric and marrow of their country. And if that is what it was, then it includes every single one of us that considers ourselves a member of the collective known as Nigeria. We live in a time when people speak about requests in terms of needs, needs in terms of rights, and rights in terms of entitlements. Government, and government alone, is thought compelled to provide the expected change. And while such an expectation may be valid, to a large extent, we have to refer to the very concept of responsibility and accountability when we speak of the mantra of change that Nigerians yearn for. To be responsible is to be answerable for one’s action. When one acknowledges a legitimate call to do something, one has a duty to react. Accountability rests not only on a genuine call for action, but also in the ability to heed the call. Just as the President, all those elected into office and the respective governments have a responsibility to us and to the nation, we each also have a responsibility to every other Nigerian and to the nation at large. Once both the government and Nigerians accept the call for action, which we did when we voted for change, then we all have that responsibility to heed its call. What happened in the elections of 2015 was Nigeria’s call. What we did in voting for change was to heed that call. Now we have a responsibility to follow it through. Indeed, our democracy has seen a nation’s call for change. Nigerians heeded and opted for that change. But our responsibility doesn’t stop after the inaugurations. Responsibility doesn’t usually come from one single establishment or one union. Individuals in a family or a community bear the responsibility to care for its members, in the same way that the friends, neighbors, leaders and governments do. Although we should all have expectations for the government to implement policies, which will make our existence as Nigerians more comfortable, we should be aware that we each have a role to play in that journey to change. Every single Nigerian has a role to play in actualizing change. While government has a great responsibility to attain the parameters needed for us to grow and flourish, one must be realistic and keep in mind that government isn’t solely liable for taking care of every single one of us in our communities, neighborhoods and families. That obligation is the responsibility of every single one of us as participants in a variety of relationships and overlapping communities. One will intrinsically be indebted to fellow members by a shared principle, which unites their community and, as members of a shared community, we must rely on each other to attain common objectives. That would entail making claims upon each other as we collectively strive to satisfy the ideals our society struggles to actualize. A government safety-net is there to make available, liberty, service and social justice, but it cannot give personal attention, on-the-ground instincts, or the flexibility sometimes required in an emergency situation. Governments’ responsibility and accountability has to be met by each of our communities and each one of us individually. The fact that we are aware of government policies being put in place to effect the much-needed change may work to our disadvantage if we don’t value the social contract we have with each other and our communities. Because it may lead us each to relax our own social responsibility in the misleading belief that someone else is holding the forte. As a nation, we are persons existing in a community, not self-standing individuals. People are not islands and we deny an important feature of our humanity once we approach it as such. Each of us shares some manner of link to one another; every one of us exists in a human society. Our actions have a domino effect on Nigeria and, thus, each have central moral obligations towards our collective. Part of the government’s role is to employ public judgment when it comes to justice. The connection between government and its citizens is one of equal standing and protection under the law. We have got to understand that the government’s responsibility is not to be the sole harbinger of change. We each have that responsibility also. Let us say that the government is able to achieve some of its main objectives in its change manifesto and I, as a part of this huge collective, continues to jump the fuel queue, as does the next person and the next person, then the expectation of change is incapacitated and untenable; purely because we didn’t play our part. It is like a big jigsaw puzzle and we each represent a piece of it. Any of the expectations we have towards government, as far as change goes, has got to start with us… each one of us. If every single one of us, in our capacity as Nigerians, can make a change that will make Nigeria better, then we will see the change we so yearn for. If not, then it doesn’t matter what policies the government puts in place; there will never be change. I don’t believe that change only comes in the form of a rescue package by government nicely wrapped in a bow. It no longer only means a list of executives with the exquisite cerebral capacity to make decisions to transform the economy. It is no longer who makes or doesn’t make the Ministerial, Ambassadorial or Executive lists. It is about each and every single one of us doing the right thing by making a change in an area that we know disadvantages the nation. As long as we are talking about government responsibility to deliver change, we must also examine our own personal irresponsibility, which has an effect on that change. Besides government, we also have a collective responsibility to provide a better example so that those who come after us aren’t propelled toward bad choices or precedents. While I am waiting to see the government finish putting into effect its policies of change, I’m determined never to jump a fuel queue or any other queue again, by the Will of The Almighty. When it is clear that Nigeria will never change if we sever our desire for change at the threshold of government alone; when we know that our self-destructive behavior batters the mantra of change that Nigerians chanted for one year ago, is it not time we end our own personal unprogressive conduct? The change that Nigeria desperately needs starts when I, Hannatu Musawa, don’t pay a bribe to jump the fuel queue. The change starts with every single one of us… and it must start now! 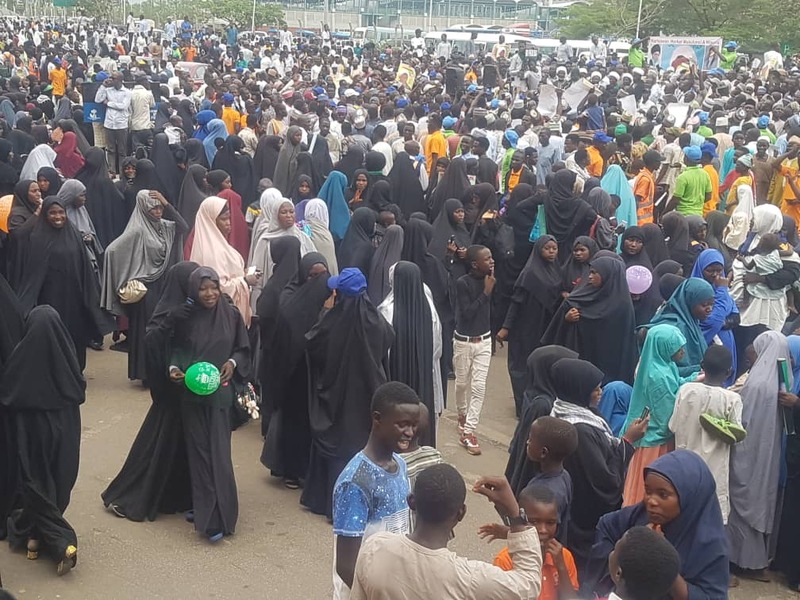 Members of Islamic Movement Of Nigeria (IMN) on Tuesday in Abuja warned the Nigerian Government not to push them to the wall in their demand for the release of their spiritual leader, Sheik Ibraheem El-Zakzaky. The group disclosed this during a procession to mark the 68th birthday of El-Zakyzaky and 1,224 days of his detention. According to Shaikh Sidi Munnir from Sokoto State, a member of the movement who spoke to journalists, the movement would change its style and move to another step if the government fails to release their leader. When asked what will be the next line of action of the movement if the government continues to keep him in detention, he said: “I am sure we will not be doing this kind of procession to call for the release of our leader; we will move to another step. He expressed optimism that President Muhammadu Buhari, with his next level slogan, will rescind his decision and release him from the detention. He also called on well-meaning Nigerians and International community to intervene as a matter of urgency and necessity. He added that the movement embarked on the rally to commemorate the 68th birthday anniversary of their leader even though he is in detention. 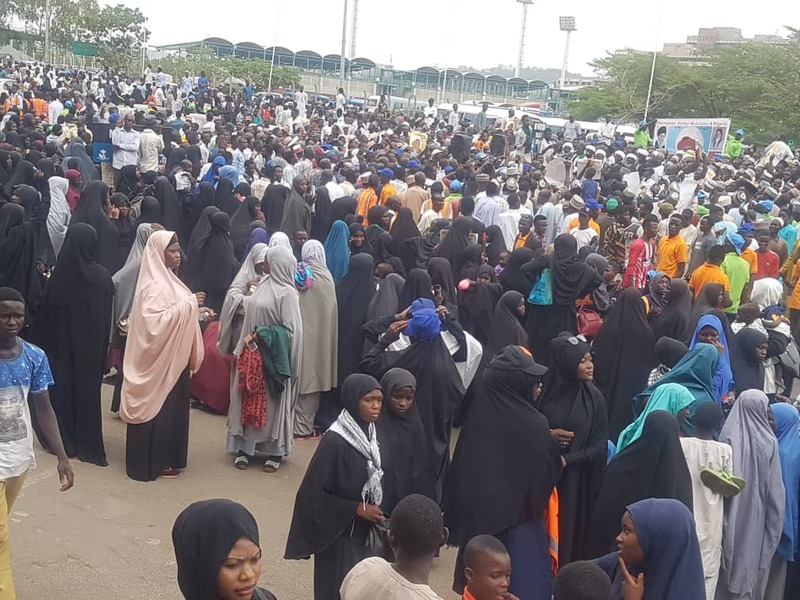 Also speaking, Abdullahi Isa Mohammad, Secretary of the Academic Forum of the movement, said the refusal of the government to release El-Zakyzaky has further increased the popularity of the leader and the movement. He noted that the movement has achieved a lot with the protest by exposing the injustice being perpetrated by the government and creating awareness on the extrajudicial killings of their members by the security operatives. He added that the continuous violation of rule law by the President has launched the movement to reckoning within and outside the country. He said that the movement will not give up on its demand. “He has violated all the laws of the land, including an order by the court of competent law which is the Federal High Court that ordered for the freedom of our leader,” Muhammad said. “They are keeping El-Zakzaky in their custody but El-Zakzaky movement is at the doorstep of the villa and is on the streets of Abuja and everywhere in the whole world. They have done nothing but increase the momentum of the movement to the other level. El-Zakzaky was born on 15 Sha’aban, 1372 (which corresponds to May 5, 1953) in Zaria. The word ‘Zakzaky’ means ‘Man from Zazzau’, and Zazzau or Zaria is an ancient City in Nigeria. He attended prestigious Ahmadu Bello University (ABU), Zaria, studying Economics and graduating with a First Class in 1979. 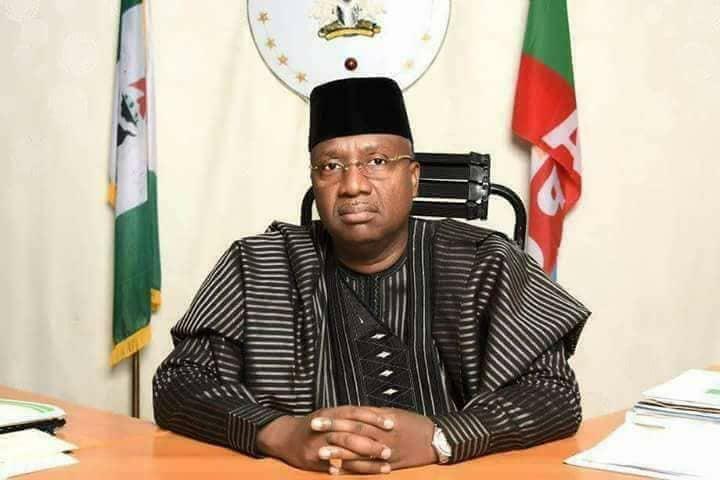 Jibrilla Bindow, the incumbent Governor of Adamawa State, has at last approached the Adamawa State Governorship Election Petition Tribunal in a move to overturn results of the governorship election in the state. Bindow rescinded his earlier congratulatory message to Ahmadu Umaru Fintiri, the Governor-Elect, and instituted a legal action challenging the latter’s victory at the polls. In a statewide broadcast on March 29, Bindow had congratulated Fintiri on his election as Governor-Elect after Independent National Electoral Commission (INEC) said he polled 336,386 votes compared to Fintiri’s 376,552. However, the latest twist is that Bindow is asking for an order of the tribunal to either declare him the winner of the governorship election or order a fresh conduct of the polls in the state. He premised his argument on the claim that results from seven Local Government Areas were marred with various electoral irregularities. Umar Duhu, former All Progressives Congress (APC) National Vice chairman (Northeast), who is an ally of the Governor, announced Bindow’s position in Yola on Tuesday. “Yes, the Governor congratulated the PDP candidate, but new facts at our disposal signal otherwise about our purported loss,” he said. He attributed some of the party’s ordeal to some members of President Muhammadu Buhari’s immediate family, alleging thus: “Some members of Mr. President’s family are romancing with the opposition here in the state. Duhu further berated the Buhari Campaign Organisation (BCO) for “undermining the unity of the APC as revealed in the proposed list of prospective appointees forwarded to the President for consideration into the new federal cabinet”. “From what we have learnt, all the 20 names presented to the President for consideration as ministers or other aides are people drawn from the defunct CPC bloc; and I think it is dangerous,” he said. Akinwunmi Ambode, Governor of Lagos State, has been implored to pay some retired workers of the Radio Lagos and Lagos television their benefits before leaving office on May 29. The passionate appeal was made by Biodun Akinbusuyi, spokesman of the the group, on Tuesday while fielding questions from newsmen in Lagos. Akinbusuyi said that they were transferred from two parastatal-agencies to main service in 2016. He added that the Lagos State Pension Commission returned the retirees’ files to the two parastatal-agencies and said their terminal benefits should be paid by the organisations. 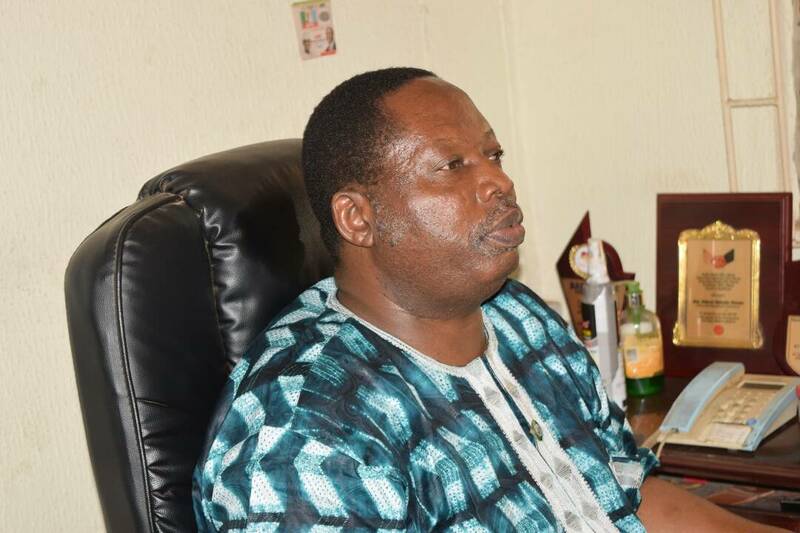 At the last congress of the Lagos State Council of the Nigeria Union of Journalists (NUJ), Kehinde Bamigbetan, the Lagos State Commissioner for Information and Strategy, had promised the retirees that their terminal benefits would be paid. He said the ministry would assist in ensuring that issues causing the delay in treating the files of the affected retirees would be sorted out. He said though Radio Lagos/Lagos television are financially insolvent to pay the retirees’ terminal benefits, the Governor would do his utmost before handing over. Police authorities in Kano have recovered a cache of weapons at the state secretariats of the Peoples Democratic Party (PDP) in Tudunwada Local Government Area of the state as well as the All Progressives Congress (APC). Also, a group of eight suspected thugs were arrested purpotedly in connection with the weapons recovered. Confirming the development, DSP Abdullahi said the weapons included swords, cutlasses, knives, various types of drugs and other lethal weapons that are being used by political thugs. He said the arrest and recovery of the weapons followed the Police’s intensified raiding of criminal hideouts in the State. Meanwhile, when contacted, Alhaji Abdullahi Abbas, the Chairman of APC in the state, denied the arrest of any member of APC in connection with weapons recovered. “After all, the weapons were recovered at PDP secretariat, how can they then members of APC be arrested in connection with the weapons recovered from PDP? This cannot be possible,” Abdullahi said. 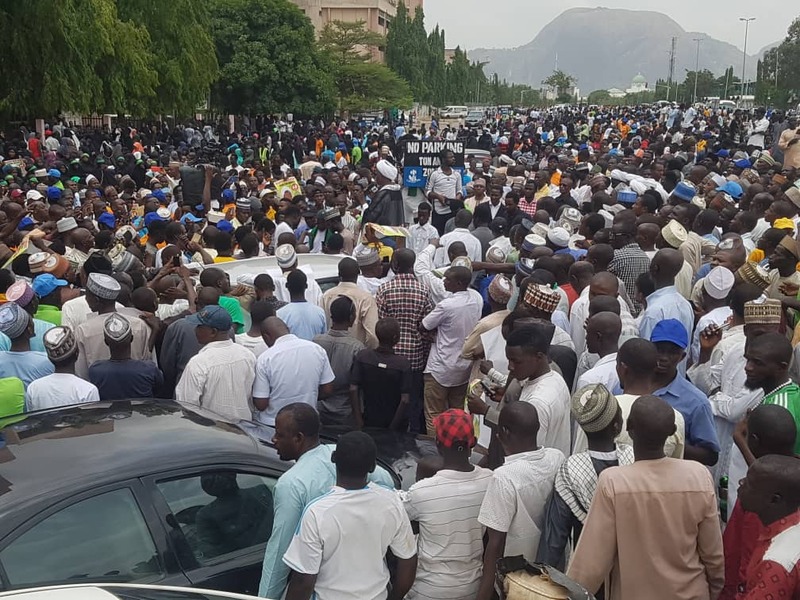 Alhaji Shehu Wada Sagagi, the PDP’s Secretary, also claimed that nobody, to the best of his knowledge, reported the matter to the party secretariat. He said “it could be possible to recover such weapons from people around Tudunwada at least for being hunters”, but he expressed confidence that “the weapons recovered were not meant to kill or hurt anybody”. Sagagi confirmed that PDP members who were arrested had been released on bail, as Police did not find anything incriminating on them. He said the Police would be petitioned for indiscriminate arrest. The 2019 general electionsprovoked undeclared and unstructured discussions and debates in the Nigerian Left. Of the various themes that can be articulated from these animated exchanges of opinions—some of which are continuing—at least three may be considered central in the history and politics of revolutionary socialist struggle in Nigeria. My interest in this article is more to help the discussions to continue—at all levels—more productively and heuristically than to take definitive positions. And I shall attempt to serve this primary interest by providing information, clarifications and reminders. I shall also recall significant insights in the earlier segments of the discussions. But I shall not attempt to moderate the discussions that had already taken place or those that are continuing. The first theme can be called “ideological classification of politics and political formations;” the second can be titled “forms of state in the transition to socialism,” and the third is the “identification of a Marxist or a revolutionary socialist in a capitalist country like Nigeria.” The three themes, taken together, relate to the fundamental general need of the Nigerian Left to understand the society it wishes to transform and its possible directions of movement. Beyond these are the specific needs of organization-building, tactics, strategy, alliances, manifestoes and platforms. Two important points can be raised to advance this discussion. The firsthas to do with the functions of the state—under capitalism. These functions, following Ernest Mandel, can be summarized under three categories: “provision of those general conditions of production which cannot be assured by the private activities of the members of the dominant class; repression of any threat to the prevailing mode of production from the dominated classes or particular sections of the dominant classes; and integration of the dominated classes, to ensure that the ruling ideology of the society remains that of the ruling class ….” (Ernest Mandel: Late Capitalism). What changes would these functions undergo in the transition to socialism? The secondpoint is that the critical question for any transition is that of class power, that is, the dominant class character of the coalition of forces in power and the direction the transition is moving and seen to be moving under this coalition. On the identification of a Marxist: A Nigerian Marxist recently offered the following proposition: “And, if I may add, where you work, or earn a living isn’t what makes you a revolutionary. What makes you a revolutionary is your conviction and your actions, your theory and your practice, that is, your praxis. And more importantly, in a capitalist society, what makes you a socialist or a Marxist is not your place in the mode of production—that is, whether worker, academic, petty-bourgeois, etc. but essentially your convictions, your politics, your political action ….” This is an old issue in the Nigerian Socialist Movement, especially in the Marxist subgroup. That it is again being debated now simply means either that it has not been resolved or that it has assumed new forms, or both. On the classification of politics: Since the emergence of All Progressives Congress (APC) in 2013 and, in particular, since its victory in Nigeria’s presidential election of 2015, comparison between this ruling class party and the People’s Democratic Party (PDP)—the ruling class party it defeated and supplanted—has remained on the agenda of the Nigerian Left. And, of course, the two parties have remained the dominant (capitalist) ruling class parties in Nigeria. This comparison logically and expectedly came up and remained a point of discussion throughout Elections 2019. At a point a prominent Nigerian Marxist decided to telescope the discussion with two suggestions: one, that what the two ruling class parties—APC and PDP—have in common is more than what divides them; and two: that APC is a Centre-Right party while PDP is a Right Party. In other words, the two dominant ruling class (capitalist) parties—APC and PDP—though similar in several respects, are not the same. To miss this point, the Marxist insists, is to miss the critical difference between the Right and the Centre-Right (or Right of Centre) in politics. What follows is offered to assist the expansion of discussions of this important subject. New terms are introduced in the sciences (natural or social) either to capture the emergence of new things or phenomena, or to combine or aggregate separate things or phenomena that are now known to be similar or to have developed similarities in some vital respects, or to differentiate elements in phenomena or things that had previously been thought to be homogeneous. In other words, we have new terms when new things and phenomena emerge, through the process of combination and association and through the process of differentiation and separation. This is the situation in the particular system of classification of politics under discussion. But if the Left-Right differentiation in politics originated in revolutionary France, its further sub-differentiation has been and is still being spearheaded in the United States of America. Generally, once in a political system we identify and designate the Left, we can easily define the Right; and from the Left-Right political spectrum, we can easily construct the Centre (the old “Ambivalent”). Having established the Left, the Right and the Centre, it is an elementary exercise to articulate “intermediate” positions between the Centre and the Left and between the Centre and the Right. These “intermediate” positions are designated Left-of-Centre and Right-of-Centre respectively. The former “leans to the left-wing, but closer to the centre than other left-wing politics,” while the latter “leans to the right but closer to the centre than other right-wing politics.” The Far-Left“is located further on the Left of the Left-Right political spectrum,” while the Far-Rightis similarly located further on the Right. But speaking personally, I would confess that once we begin to further subdivide the Left-Centre-Right spectrum in Nigeria I also begin to have serious problems! Ifo, in Ogun State, was embroiled in violence on Sunday when thugs suspected to be in the employ of opposition politicians attacked property or structures having connection with either the All Progressives Congress (APC) or politicians of the party’s extraction. 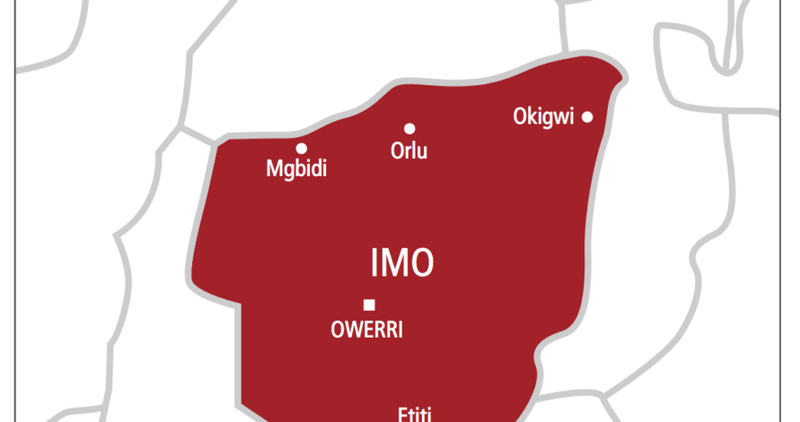 A five-member trafficking syndicate consisting of a young couple and three other accomplices have been apprehended by operatives of the Imo State Police Command for allegedly selling a six-hour-old baby for N850,000 shortly after he was born. 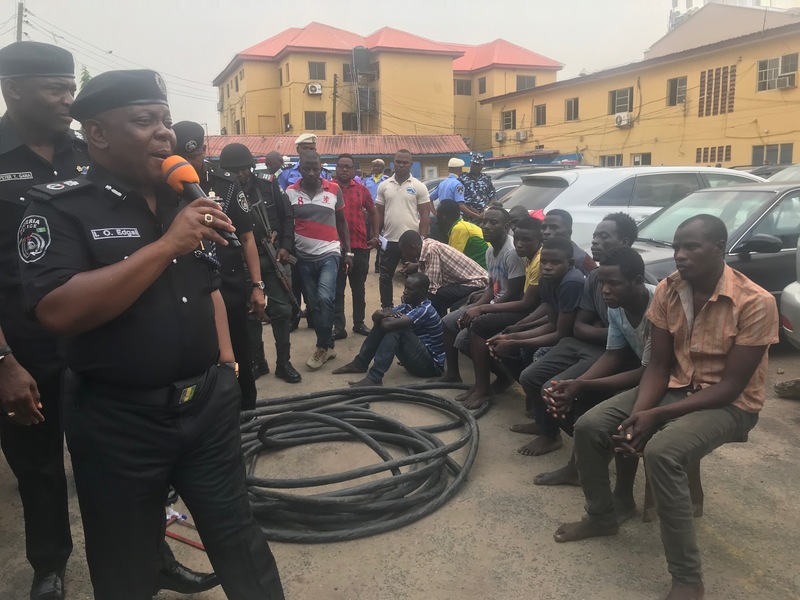 Rabiu Ladodo, the Commissioner of Police in the state, who paraded the suspects at the command’s headquarters in Owerri on Saturday, described the crime as “absurd and irritating”. Ladodo said the suspects would be charged to court at the conclusion of investigation. The CP noted that it was unbelievable that the mother of the newborn, Chinonye Oparaocha, 23, conspired with the other suspects to trade the child after delivery. The other suspects are Confidence Anyanwu, 28; Duru Christian, 38; George Iyowuna, 38, and William Cynthia, 44. Ladodo said the mother of the baby conspired with a nurse at the hospital where she was delivered of the baby to take the child to Rivers State, where he was trafficked for N850,000. According to him, it took coordinated intelligence from his men for the baby to be recovered and the suspects arrested. “On February 8, 2019, at an undisclosed clinic on Nekede Road in the Owerri West LGA, one Chinonye Oparaocha was delivered of a baby boy,” he said. 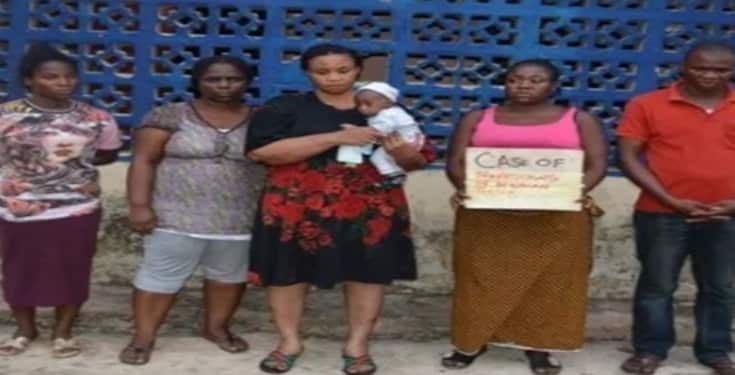 “The woman immediately conspired with one Confidence Anyanwu, a nurse and native of Umuhu Okwuato in the Aboh Mbaise LGA, in company with her husband, Amanze Anyanwu (at large), and carried the six hours old baby to Port Harcourt in Rivers State, where one Duru Christian, was standing by. In Port Harcourt, Christian in company with Iyowuna, met them and took custody of the baby. Ladodo added that the suspects had given useful information to the Police, which should lead to the arrest of other fleeing members of the gang. South Asian nation reeling from the attacks that targeted churches and hotels across the country. Secretary of State Mike Pompeo plans to announce on Monday that the administration will not renew sanctions waivers for the five countries when they expire on May 2, three U.S. officials said. The others are China and India. It was not immediately clear if any of the five would be given additional time to wind down their purchases or if they would be subject to U.S. sanctions on May 3 if they do not immediately halt imports of Iranian oil. The administration granted eight oil sanctions waivers when it re-imposed sanctions on Iran after Trump pulled the U.S. out of the landmark 2015 nuclear deal. They were granted in part to give those countries more time to find alternate energy sources but also to prevent a shock to global oil markets from the sudden removal of Iranian crude. U.S. officials now say they do not expect any significant reduction in the supply of oil given production increases by other countries, including the U.S. itself and Saudi Arabia. NATO ally Turkey has made perhaps the most public case for an extension, with senior officials telling their U.S. counterparts that Iranian oil is critical to meeting their country’s energy needs. They have also made the case that as a neighbor of Iran, Turkey cannot be expected to completely close its economy to Iranian goods.